Constitutional Lawyer KrisAnne Hall explains the legal reasons the NDAA allows the government to detain U.S. citizens indefinitely, without a trial, in a military prison. One of the most respected law publications in the world looks at how section 1021 affects U.S. citizens and lawful residents. At the Justia Verdict legal commentary website, Joanne Mariner provides proof that the NDAA kills the Bill of Rights in the United States. The Intolerable Acts Explains the Unconstitutionality of the NDAA, and why it affects American Citizens and the authorities section (e) of 1021. Top YouTube News source "The Young Turks" breaks down the NDAA and disproves arguments supporting its passage. 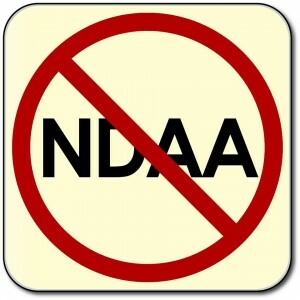 Find out how your Representative voted on the NDAA. James C. Krulak and Joseph P. Hoar, two retired generals in the U.S. Marines, give their opinion on the NDAA.